Have you ever ridden a Ferris Wheel and just as you approach the top, butterflies in your stomach, it begins to slow down, and then completely stops? The gentle swaying at the top, although frightening, also seems peaceful as you gaze across the land below. 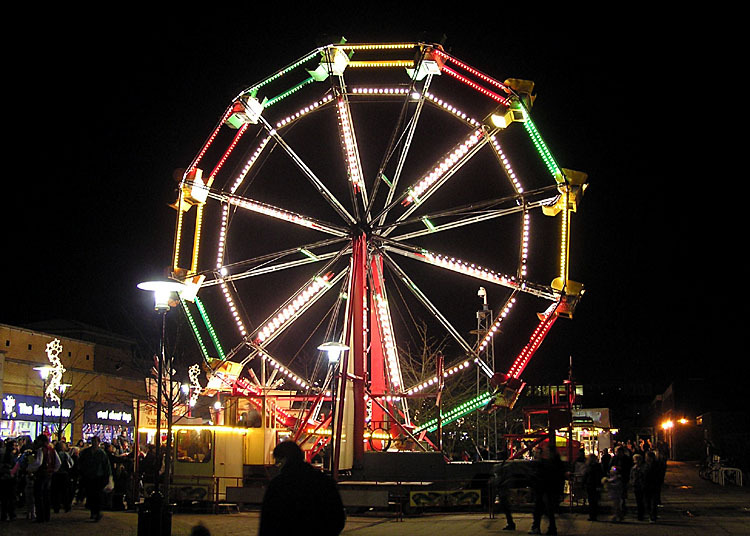 When in high school, I remember riding the Ferris Wheel at a country carnival with my boyfriend and crossing my fingers that it would stop at the top. I thought this would be the most romantic setting, sitting at the top of the world and viewing all the twinkling lights below. If captured, this moment-in-time would give pause to all else that was happening in the world and I could focus on my breath and on my thoughts. Sometimes pauses are needed to re-energize so that we can push ahead. I have found that a pause helps me re-think questions and hear answers. I never could have imagined, when I started this blog, that it would become my weekly accountability partner. Through your comments and encouragement, my dear readers and supporters, I have made it to the finish line and won the prize. I am so thrilled to have been offered a teaching job, at an IB international school in Istanbul, Turkey. I have worked hard and it’s paid off, but I want to pause and give time to the new chapter that’s about to begin. I’ve already started researching Istanbul: the history, the geography, the holidays, the art and I can’t wait to start digesting all that I see, smell, taste and hear once I get there late this summer. I look forward to the ways that this city and its people will inspire me to write and to make art and I am eager to share it with you through my blog. But for right now, I am going to take some time off and suspend my weekly blogging. I will become homeless in a week and a half and have decided to spend the next few months vagabonding at generous friends’ homes. I’m still moved by the number of people who have extended invitations for me to come live with them for a weekend or weeks on end. It will be hard to leave my Dallas friends behind. Some I’ve known for almost 30 years! They’ve watched me grow up. They’ve seen my heart break. They’ve witnessed my joys and my fears. They’ve prayed for me and with me. And now, they are supporting me in my dream of living overseas. I am so grateful. Thanks and bless all of you for helping me along the path I’ve chosen. Your kindness, love and generousity is what gives me strength and courage. As I always say, your crown in heaven will be draped in so many rubies, emeralds and diamonds that each of you will barely be able to lift it to your head. I, on the other hand, will be directed to the do-it-yourself craft table where I can make my own little crown out of cardboard, Elmer’s glue and aluminum foil. I love you all and will be back writing regularly in a few short months. Of course we will see each other!! I can’t wait to visit Taiwan. As soon as I get my school calendar, let’s set a date!!! And, of course you can visit me in Istanbul. Hello again, my friend! I am starting to feel hyper, overwhelmed, excited, and sad about all the preparations and goodbyes, are you? I’ve also been more than a little frustrated by bronchitis–which has twice stopped me for a week while I try to get over it. I really don’t want to be missing work to be layin’ in bed! (Gratefully, I seem to be on the mend now.) Sounds like you are making great progress in your preparations. I feel like I need to miss work to get my passport updated, my teaching license renewed, my culling and clearing done, etc. LOL There are so few hours to get everything done on evenings and weekends, right? BTW, I hope we can chitchat by Skype or email about some of the logistics…I’m trying to decide about banking, retirement funds, etc. from the overseas locale and it’s a bit confusing. I’m good at a lot of things, but crunching numbers is not one of them. I’ve enjoyed reading about your process (since I hope to do something similar myself in a few years). No one could begrudge your stepping back. Best of luck in your transition. Thank you for reading along. I totally hope my blog has encouraged you to step out and do this. I am soooo excited and am so eager for this adventure to begin! I need to take a bit of time off to re-adjust the “why” of my blog. I may write a few articles over the next few months, but it won’t become regular again until after my move. Stay tuned! The best of luck to you too!